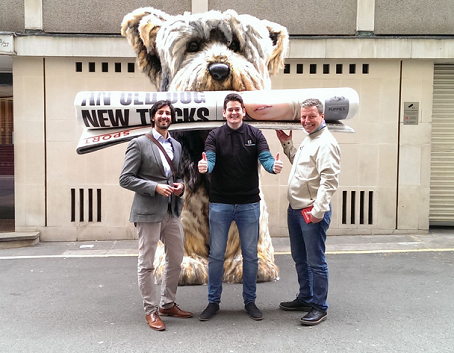 A 3m-tall Yorkshire terrier has hit the streets of London as part of a joint advertising campaign by 21 regional dailies. “The National”, a combined sales initiative involving a number of regional publishers, has launched its #Expectbigthings campaign featuring “Tiny” the dog. As part of the drive, the dog will pop-up around London’s advertising agencies in a bid to dispel common misconceptions surrounding advertising in the regional press. The multimedia campaign started on 1 June and will run for four weeks. The National was set up in 2012 and is a collaboration between Local World, Trinity Mirror, Johnston Press, the Midland News Association and the London Evening Standard, involving their top daily newspapers. Titles involved include the Wolverhampton-based Express & Star, Yorkshire Evening Post, Birmingham Mail, Hull Daily Mail, Manchester Evening News and Nottingham Post. Newspapers involved in the advertising platform have a combined circulation of around 1.5m.